After the clean-up is done and the volunteers are gone, people are going to be emotionally scarred by the losses they suffered. Government needs to put a plan in place to help people cope, and they need to do it soon. That was the suggestion of Avonelle Hector Joseph, founder of Is There Not a Cause (ITNAC), after seeing the devastation of last weekend’s flood, and working with victims to clean up their homes. ITNAC has been in operation for 16 years. During that time, Joseph has been to numerous disasters all over the world, and she compared the flooding in central and east Trinidad to that of Hurricane Katrina in the US in 2005. She said it was different to previous floods in central or the one in Diego Martin in 2012 because usually only one area was affected. This time, however, there was flooding in a number of areas in central, east and the west. She said it was difficult to see everything people worked hard for piled up at the side of the road, covered in mud and filth, in heaps on every street. Joseph said since the flood, its members had been out distributing hot meals, food supplies, clothing, water, toiletries, cleaning supplies, and mattresses, as well as assessing people’s losses, power washing yards and homes, and helping people clean up. 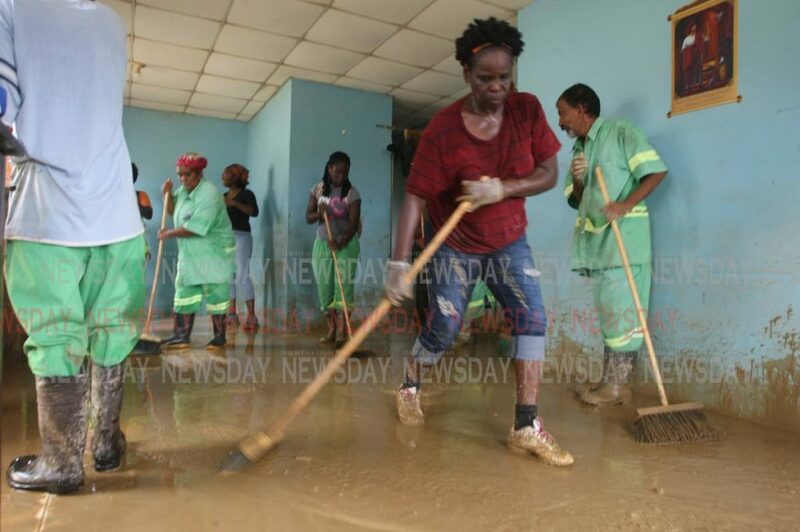 She said soca artistes Ian “Bunji Garlin” Alvarez, Fay Ann Lyons-Alvarez and the Asylum Family, with whom ITNAC had worked with for over a decade, were on the ground helping with cleaning in addition to drumming up support and donations on social media. She said the NGO also had an arrangement with Furniture House in Barataria where people could make monetary donations to ITNAC which would be used to purchase furniture for flood victims. ITNAC hoped to start working with families to redo their homes and replace everything for as long as the organisation had funds. ITNAC was just one of the many NGOs mobilising their members, members of the public, and coordinating with others to give as much assistance as possible to those directly affected by the floods. 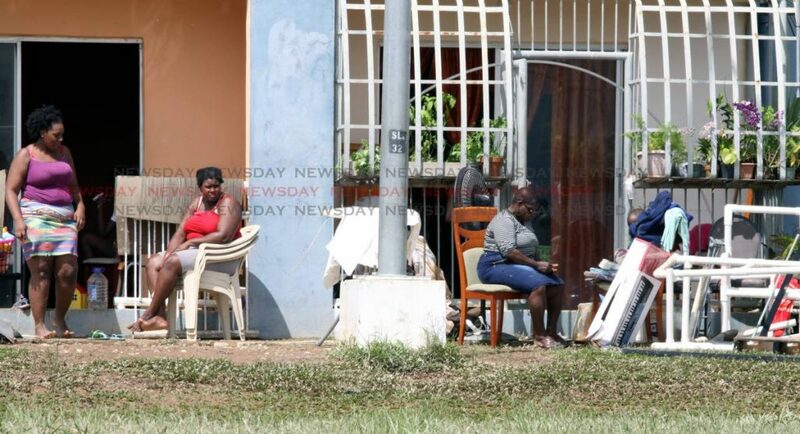 Sunday Newsday spoke with the organisers of just a few of these NGOs, including Habitat for Humanity, which was also working with the Asylum Family, and the Scout Association of TT. Tracy Wallace, communications officer of Habitat for Humanity TT, said homeowners had been calling to report damage to their property. They had construction engineers out investigating each case and so far there were no structural damages. 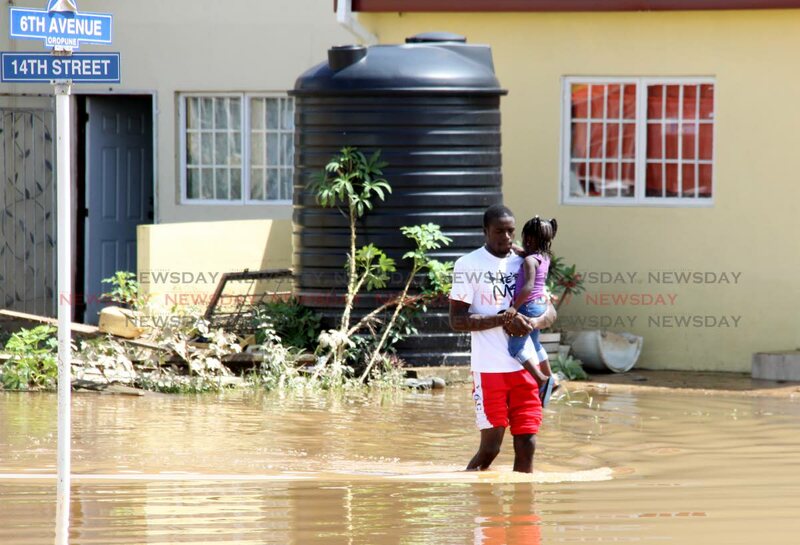 She said over 100 families in Sangre Grande, La Horquetta, El Socorro, Piarco, and St Helena requested specific items such as cleaning supplies, clothing, including underwear, blankets, mattresses, canned food, and school books. However, at the moment, the organisation was trying to focus on cleaning and personal hygiene supplies, and providing technical assistance. Wallace said people volunteered to provide laundry services to affected residents, construction technicians and structural engineers to assess homes, but at the moment the best thing to do was to donate finances because it could be converted to anything people needed. Anyone interested in donating can visit habitat-tt.org/product/donation or call the hotline, 398-8389. She added that since Bunji and Fay Ann sent out their call on social media for people to donate to Habitat, they had been “inundated” with calls from the US and the UK, from people wishing to help organise financial contributions and the shipment of supplies. Lyons-Alvarez explained that the Asylum Family was working closely with ITNAC, Habitat, and Orange House Foundation. They were handing out meals, assessing losses, seeing what else they could do to help, and structuring a “game plan” with these organisations. For example, she said after posing about the devastation from the flooding on social media, celebrity rappers Nicki Minaj, who was born in St James, and Busta Rhymes, actors with Trini roots such as Love and Hip Hop Atlanta actress Karlie Redd and Dynasty’s Robert Riley, Beyoncé’s hairstylist, Neal Farinah, and several international promoters the Asylum Family had dealt with over the years, contacted her to see how they could help. During a visit to one of the affected areas, Lyons-Alvarez said she saw damaged electrical panels (panel boxes), houses that needed rewiring or had water in the electrical lines, broken windows, and many houses with plumbing issues. She said she saw one man breaking a hole in his wall because there was dirty floodwater in the bricks. She said Habitat agreed to repair six houses so far and she called on hardware store to donate materials, and for companies to donate funds to assist in rebuilding some homes. She was also concerned about the possible health risks now that the flooding had subsided. She noted that a lot of sewage was mixed with the floodwater and now that the mud had dried into dust, people were breathing it in which could cause respiratory problems. She said there were other plans in the works but she preferred to wait until they were confirmed before announcing it publicly. Another organisation working hard and using their national scope to reach areas others could not, was the Scout Association. Marketing and communication officer Yvan Mendoza said its members immediately started coordinating with JTA supermarkets nationwide to use them as drop-off points for donations. JTA and Massy Stores in St Ann’s, and Gulf View also allowed scouts to ask shoppers to donate goods. In addition, the Scouts were using the Chaguanas Community Centre and Naparima College in San Fernando as drop-off points, collecting, sorting, packing and distributing to other scout offices to help people in affected areas. So far, he said, they collected food stuff, clothes, toiletries, cleaning supplies, bookbags, toys, shoes and more at various Scout offices, schools, and other locations for distribution. Kennedy Charran, District South Commissioner for the Chaguanas Scout District said their Port of Spain, San Fernando South, Couva South, and Naparima South districts especially continued to send a lot of relief supplies for them to distribute with the help of other organisations. He said the Office of the Mayor of Chaguanas, and the Penal/Debe Regional Corporation had been of great assistance. He also thanked Shine Distributors Ltd in Chaguanas as it donated over $70,000 in free and discounted supplies such as over-the-counter medication, personal care items and toiletries to a number of organisations, including the Scouts. So far, the Scouts were able to assist people in Warrenville, Caroni, Kelly village, St Helena, Arima, La Horquetta, Sangre Grande, Mayaro, Mafeking, Tamina, Fishing Pond, as well as residents along the Guayamare river. Reply to "Frontline of flood relief"